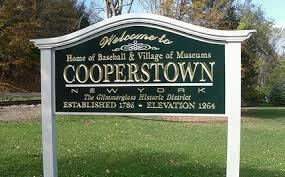 Today is the 2013 Hall Of Fame induction ceremony in Cooperstown NY. And in 2013, no contemporary Major League players will be inducted, so it's really a nothing weekend in a distant upstate New York town. It's a shame that Jack Morris was left out they year the committee decided to conspire in a protest vote against the "Steroid era." Next year will be Morris's last opportunity. Unfortunately he'll be going against first-time eligible no-brainers like Greg Maddux, Frank Thomas and Tom Glavine. Not to mention the second go-around for guys like Bonds, Clemens and Piazza. Jack Morris doesn't relate to the steroid era, and he doesn't belong on the first ballot like a Maddux. Where he belongs is Cooperstown, and he should have had this weekend to himself. 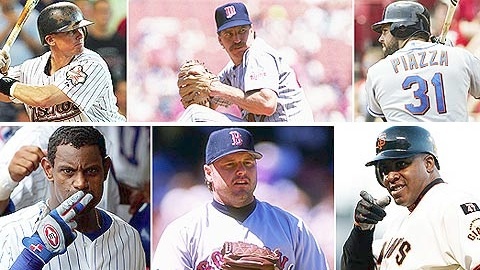 The 2013 Baseball Hall Of Fame inductees: much ado about nothing. I get the premise here, it's a protest vote against the crop of "Steroid Era" players who defined a generation of baseball on the field, but tainted the game in doing so. How do you differentiate a Barry Bonds from Roger Clemens, Sammy Sosa, and Mike Piazza? You keep them all out? - For now? But what about Craig Biggio, who isn't linked in these circles? The Hall Of Fame ballot seems just as subjective and biased as its always been. But I will continue to make the case for at least one more year for the most deserving name on the ballot that doesn't fall into this "generation" of players. 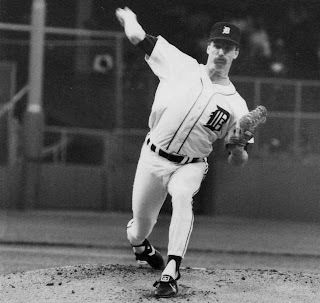 See, they didn't even have color photography when Jack Morris dominated a decade for the Detroit Tigers. I don't understand how the BBWAA could bypass Morris 14 straight years. I'm not going to make the full Buster Olney/Nate Silver mathematical case, though I've done plenty of research and gathered plenty of evidence, but I am still compiling. Baseball is a dichotomy. It's a stat-driven game, it's how we measure players against one another and history. Yet it's also a game where a lot of the contributions don't show up in the box score: moving runners, eating innings, great defense. I believe a catcher's first job is to manage a pitching staff, then to keep baserunners from running wild, and then to hit. Mike Piazza's numbers as an offensive player at his position are unprecedented, but how did he fare in his more primary responsibilities? Without getting into numbers (and like I said those are ready to go), Jack Morris was a horse. First and foremost, he was the ace starter on three World Series champions. Second, he pitched 10 shutout innings in Game 7 of the '91 World Series with no margin for error. Third, he was arguably the most durable pitcher and one of the most reliable for 14 years from 1979-1992. And he did it all in the Designated Hitter era in the American League, pitching in the bandbox that was Tiger Stadium. The critics point to his moderately high ERA. He was a starter and a finisher, and in today's game with pitch count and inning counts, he is a throwback to a previous era. Morris is the outlier on the 2013 ballot. The protest vote shouldn't have included him.